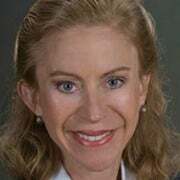 Kathleen Hartnett White is distinguished senior fellow-in-residence at the Armstrong Center for Energy and the Environment at the Texas Public Policy Foundation. The most predictable thing about the climate these days is the sensationalism we see in the headlines. It’s not a new trend, but it’s worth pointing out again. Headlines often overstate the actual content of the report, and the report itself often overstates the data. Let’s take those “mass deaths” (leaving aside the mayhem for the moment). What does the report actually say? 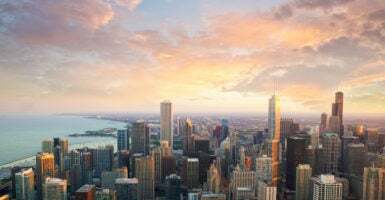 “The health and well-being of Americans are already affected by climate change, with the adverse health consequences projected to worsen with additional climate change,” the National Climate Assessment reads. That estimate is based on a 2016 study that applies mortality data to climate models that predict more and more intense heatwaves. But dig a little deeper, and you’ll find there’s some real uncertainty about those numbers. That study references a research letter published in 2016 by the American Geophysical Union. As for heatwaves, the reality is that far more people die from extreme cold than extreme heat. Still, we know what prevents many of those deaths—from both extreme cold and extreme heat. It’s affordable, reliable energy. People cool and heat their homes when they can afford to. Misguided policies like the carbon tax, designed to curb energy usage, would send electricity bills soaring and would achieve the opposite of the National Climate Assessment’s goals. Energy poverty is deadly, as the European Union is learning. Just last year it established a commission to address the problem. But back to the U.S.’ National Climate Assessment. The report also presents some scary predictions for the economy. A highly quoted headline cites that the economic damages from climate change could amount to 10 percent of annual U.S. gross domestic product in 2090. The obvious criticism is that this headline uses the highest estimate of a model where the average cost estimate is around 3 percent. But digging deeper, there are other questions to be posed about how these economic impacts are calculated. Premature deaths from extreme temperature (9,300 per year) are said to amount to $140 billion in annual losses. How is it that each premature death is given an economic cost of more than $15 million? Is it reasonable to place an economic value on a theoretical loss of life due to climate change, similar to the way we estimate property damage? These questions must be asked before we take these “projected costs” at face value. There’s a real danger here, and that’s in responding to the National Climate Assessment in a way that will make things worse, not better. Already, a carbon tax bill has been introduced in the House of Representatives that would make energy more expensive for American families. The other danger is in responding to the headlines, not the data. We know the National Climate Assessment is good for frightening news stories. But public policy must be based on solid information, not scary interpretations.